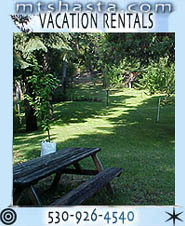 Costa Rica – Trips on inland Jungle Rivers in Guanacaste Region for $395 per day USD and Less. All Gear Included, Flies & a Great Lunch, Help with Lodging and Restaurants lists. Spain in Two Areas Girona, Catalonia & the Village of the Arties Spain. Customized One Day Trips with all the Gear, Flies & a Wonderful Lunch. $475 USD for One $585 USD for Two Anglers. 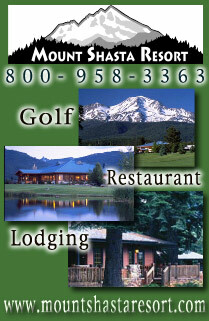 Top Area Restaurant Lists & Lodging Lists Included. Village of the Arties area – Spain ~ With breath taking views of the Pyrenees Mountains. All Areas Of Belize – $450 USD for Two Anglers Per Day with All Gear Included, Flies & Lunch. Northern or Southern Belize. 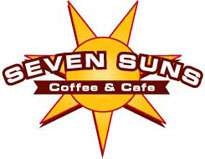 Let us help you lodging, rent a cars, tours, restaurant lists free of charge. 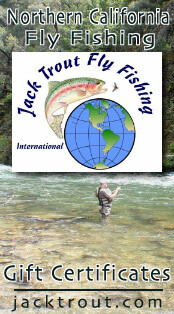 All Areas of Chile Lakes District $495 USD for Two Anglers Rio Maullin $550 USD Rio Petrohue. All Gear Included, BBQ Streamside Lunch w/ Chilean Wines & Beer. 2019 Season We Area Proud To Announce Our New Cabin on the Rio Maullin. My wife and I were on a cruise ship and scheduled 2 days of flying fishing through Jack Trout. On Feb 5th, we were in Puerto Chacabuco and went wading in a river with Tolin. The trip was fanstastic. He helped my wife, who was a beginner, and made a memorable day for both of us in a beautiful setting. The next day, we went out with Mattias in Puerto Montt. This trip was on a river in a drift boat. Both of these guides were attentive and professional. All the fishing licenses, equipment and food were provided as promised. The communication with Jack that was necessary to set up our fishing was accurate and easy. The fly fishing was a hightlight of our time in the Patagonia region. We’ll Be Floating Year Around!! Capt. 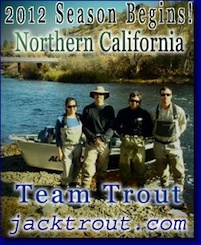 Jack Trout arranged for Capt. Sydney “bonefish” Walker to take me and my wife on the flats for a day chasing the elusive Bonefish. We were instantly into fish and through the coaching of Capt. Sydney I was able to sight fish to the incredibly camouflaged target species. The fish were finicky but we finally got one to eat and made the trip to the islands memorable. Capt. Sydney was patient, knowledgeable, energetic, humorous and determined to catch fish. Working with Capt. Jack as the outfitter was a great experience with open communication and plenty of detail. While fly fishing gear was provided, depending on your preferences, I would consider bringing your own. Additionally, given the finicky nature of the fish I would suggest an array of shrimp patterns, a la Crazy Charlie’s in various sizes, although if you are traveling light and looking for a day on the water, you are guaranteed to have an awesome experience! Childhood memories have a way of stimulating your step as you get older. Like fodder for your brain. It might be the first time you went camping in the Sierra’s with your parents. Or possible your first trout you landed with a brother or sister at one of those high mountain lakes in the Shasta Cascades. Those kinds of memories are the ones that never leave you and those places remain timeless and more important every year of our lives. Like the warm sun in springtime you haven’t felt in months or spotting a robin pulling worms from your lawn. Those are all natures signals that it’s time to get outdoors and return to those places we know and love. Maybe this is the year you discover a new area with your kids and pass the torch on to the next generation. That’s what got me thinking about all my childhood areas I fished as a kid growing up in Portola, California. As an adult I became a fly fishing guide out of Mount Shasta and I took pride in knowing that all my childhood rivers were just down the road off highway 89. 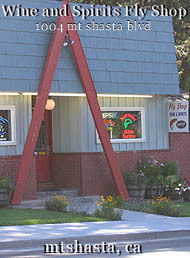 Highway 89 runs from the town of Mount Shasta down through South Lake Tahoe, in between is considered by the best anglers as the “creme de la creme” of trout fishing in the State of California. Hwy 89 is the gold vein of California highways when it comes to harvesting angling adventures that last a lifetime. The question is when do you start and where? Some areas thaw before others and the oddity of it all is that you would think up north towards Mt Shasta would receive the most snow pack and you should start out in South Lake Tahoe on Hwy 89 and work your way up North. But over the years just the opposite I found is true. The tributaries and rivers open on the last Saturday in April, all lakes are open year around in California except on private lakes that are run by the Department of Fish and Wildlife. The first area to fish off Hwy 89 is the Upper Sacramento and McCloud Rivers near the towns of McCloud and interstate 5, near the town of Mt Shasta as they are the first best areas in the state to thaw out and become fishable. 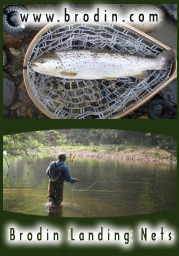 As spring progresses the leaves get on the trees this makes the insects return and the trout are happy about it. This can be a productive area for early season trout fishing with an emphasis on fishing mid-day because that’s when the trout feed the most with virtually little snow around or rarely high waters. If the rivers are high on the opener, fishing below regulated flows maybe the necessary option. As the season progresses into May moving down Hwy 89 towards Hat Creek, Fall River & the Pit River can be very rewarding for the savvy angler. You can also fish Baum Lake off Hwy 299 and Manzanita Lake in Lassen Park. The hatches if you so choose to fish by fly can be very prolific that time of year, while others can hook on a worm and snuggle closer to mom as safe refuge. As June approaches areas down Hwy 89 and on Hwy 70 in the Middle Fork Canyon of the Feather River offer terrific dry fly hatches as they recede into shape. 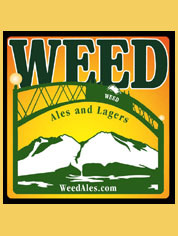 Don’t forget about the town of Chester on Lake Almanor and all those massive sized brown trout and kokanee salmon as well as Eagle Lake and the home of the Eagle Lake Trout off Hwy 36 just down the road. 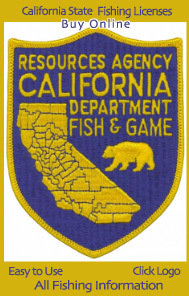 Around the towns of Graeagle, Quincy and Portola the Department of Fish & Wildlife start their annual lake and river hatchery trout planting programs and this information can be found by searching online. Lake Davis, Bucks Lake, Antelope Lake and Frenchmen’s Lake off Hwy 89 & Hwy 70 house trophy sized trout and provide easy access as well as great camping sites for families. As we head into mid-June even more high mountain lakes become accessible and roads up into the Lake Basin lead to numerous lakes, camping, swimming and hiking trails I loved as a kid. 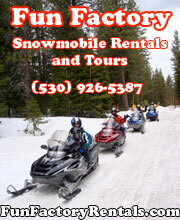 Sierra and Plumas Counties that time of year are literally “Ground Zero” For recreation. For the midsize lake lover, places like Packer, Sardine and Salmon Lakes are sublime destinations with amazing breathtaking area views and local seasonal restaurants sprinkled around the Sierra Buttes, “the Switzerland of Sierra County.” Then you should head down Hwy 49 into the wonderful gold mining towns of Sierra City and Downieville. When staying in these towns where Mark Twain once lived and wrote about, you can catch fish on the North Fork of the Yuba River, one of the tougher yet rewarding rivers to fish on. Its gin colored glacier waters is truly remarkable in transparency and leaves you with a sense of zen anytime you’re near, not to mention the ferns, sounds of chirping birds and the scent of evergreen in the air. 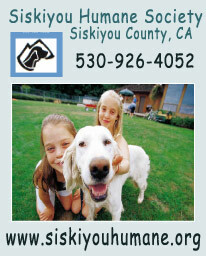 As July 4th weekend appears, any location is accessible and open but with the higher daily temps getting to higher elevations and fishing early and late is a fishermen’s best option for success, especially as we head into August and the “Dog Days of Summer.” Places like the Truckee River, Stampede & Boca Reservoirs, the Little Truckee and Lake Tahoe are all places for families and anglers to come to visit for it’s the right time of year. The temps are perfect day or night from the Shasta Trinity National Forest on down through Lassen, Plumas and Tahoe Yuba National Forests. 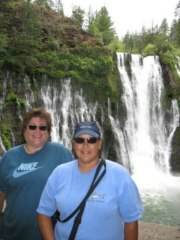 These are the areas to explore and fish in California and Hwy 89 is the way to access it all. Be sure to check on fishing regulations as some rivers have designated areas for catch and release as well as catch and keep and are stocked throughout the season. Whether you’re a fly fishermen, a spey guy or a dry fly fanatic, Hwy 89 has something to offer for everyone that loves to fish and explore and the best thing is you’re located up at high elevations in green confer forests the entire journey. You will remember the gentle touch of a north wind that makes you feel cooler. The chance to accomplish something you’ve possibly never done before and Hwy 89 can be the yellow brick road that takes you there. Top to bottom, north or south, Hwy 89 is the artery of California that brings you to the heart of the fishing and adventure. It’s rivers, lakes and streams are unsurpassed in scenic beauty and offer the outdoorsmen the best opportunity for fishing off any road in California. Your only decision is which way to access this highway and whether you head in which direction is ultimately up to you. But you can rest assured that Hwy 89, the Fishing Highway of California will never let you down, let its journey be your compass in life and may it remind you of your childhood. 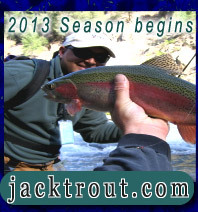 Spey Cast the Pacific Northwest with Jack Trout Fly Fishing, he just likes his MOrvis hat. 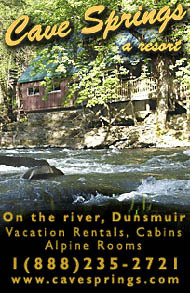 $495 For Two Anglers Floating Smith or Chetco Rivers. 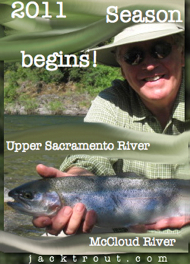 $450 For Two Floating Lower Sacramento River, All Gear Included, Flies & BBQ Lunch. Our trip to Havana, Cuba was amazing. It has opened our eyes to the realities in Cuba and to all the blessings and freedom we have here in USA. Katia (guide) and Osvaldo (driver) were amazing. We had a fabulous day. We so enjoyed Katia’s knowledge, her command of details, history and stories. The food at La Casa Restaurant was delicious, drinks and the places we visited were fun. We felt well informed, safe, loved, and entertained all day long. Katia was exceptional guide and Osvaldo was a super safe and friendly driver. We will definitely refer our friends to you.